Latisha explained that her extended family reminded her of the Huxtables. When everyone got together there was nothing but laughter. Not so for her immediate family. Although her mom was solid, there was a wall between them that still exists today. Her dad, at his best, was unpredictable and irresponsible. How then did they raise a daughter who was successful and driven her entire life? Latisha’s parents placed great importance on education and they made sure she focused on doing positive things. Always a good student, she helped her Auntie at her daycare after school, she was captain of the step team in middle school, and had good friends. Things happened to Latisha as a teenager that could easily have derailed her if it weren’t for her strong heart. Always daddy’s little girl, she got caught in the crossfire between her mom and dad one night. In a drunken stupor, her dad began disrespecting her mom. Latisha was furious and tried to push her dad away. He threw her back and kicked her until she lay on the floor in agony. The police came, but her mom dropped the charges. At that moment, things changed forever. “I don’t look at her the same any more. You’re supposed to protect your children. She didn’t do that. And, I can’t tell you how I felt about my dad,” she said, trying to hold back her tears. Journaling became the way she expressed her feelings. She couldn’t talk to her parents or her favorite Auntie, who recently died of breast cancer. Pregnancy was Latisha’s next hurdle. She had a miscarriage in 2008 and an abortion in 2009. “I started cutting myself because I was depressed and upset about what I had done,” she admitted. My best friend kept telling me things would get better. Getting outside and releasing my energy finally made me come around. As Latisha came out of her fog, her best friend transferred to Houston Can Academy. Latisha’s dad went to jail at about the same time. Latisha decided she wanted to go to Houston Can Academy too. “School was overwhelming. I slept in class and wasn’t learning. But, more than that, I missed my best friend,” she explained. Latisha’s parents didn’t want her to go to Houston Can Academy. She addressed their concerns by giving them information about the school and having them interview the teachers. Once their concerns were addressed, they let her enroll. Latisha was just getting over depression when she came to Houston Can Academy. She said, “Every day I would talk to my advisor. It helped just to have her listen and get her opinion on things. Teachers cared too and wouldn’t stop teaching until you understood the material.” Latisha received good grades, she passed her TAKS tests the first time and she tutored her fellow students and helped them pass their TAKS tests. 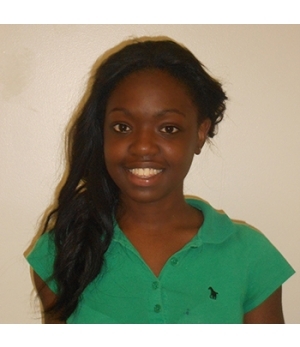 Although Latisha clearly has a talent for teaching, she wants to go to college to be a medical assistant working in a major hospital or teen clinic. No matter what she decides to pursue, Latisha’s strength and compassion will shine through.